Arrive Brisbane Airport, meet and greet, followed by private transfer to Gold Coast Hotel after Lunch at Indian Restaurant. Check in & rest of the day at leisure. Evening transfers to local Indian restaurant for standard Indian Dinner. Overnight in Gold Coast hotel. 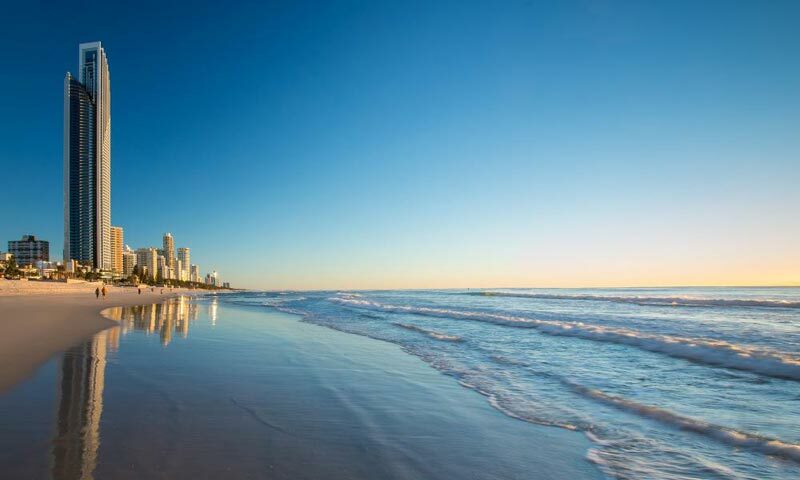 Enjoy buffet Breakfast at hotel followed by coach transfers to Sea World theme park, located north of Surfers Paradise at The Spit on Main Beach, which is Australia's biggest marine park. We get rides on the monorail and cable car. It features sharks, dolphins, sea lions and other marine creatures. You can even swim with the Dolphins at Sea World through a reservation. It also has fun rides and a water park. Around 1900hrs get transfers to local Indian restaurant to enjoy buffet Indian meal, followed by return hotel transfers. Overnight in Gold Coast hotel. Today after breakfast, proceed for Movie World' full day tour, - where movie magic happens every day. As the only Australian movie related theme park, you will experience a fun-filled, Gold Coast theme park family adventure with all the glitz and glamour of Hollywood. Meet your favorite stars and get ready for an exciting journey with some behind-the-scenes action, exhilarating rides, spectacular special effects, stunt shows and comedy acts like Police Academy, 3D Show, Wild Adventure & special show by the Batman & Cat girl. In evening, proceed for Dinner at Indian Restaurant. After Breakfast, check out & transfer to Brisbane Airport to board your onward flight to Sydney. Arrive Sydney airport, meet and greet, and transfer to City Hotel. Time free at leisure after Hotel check-in (International hotel check in time starts at 1400 hrs.). 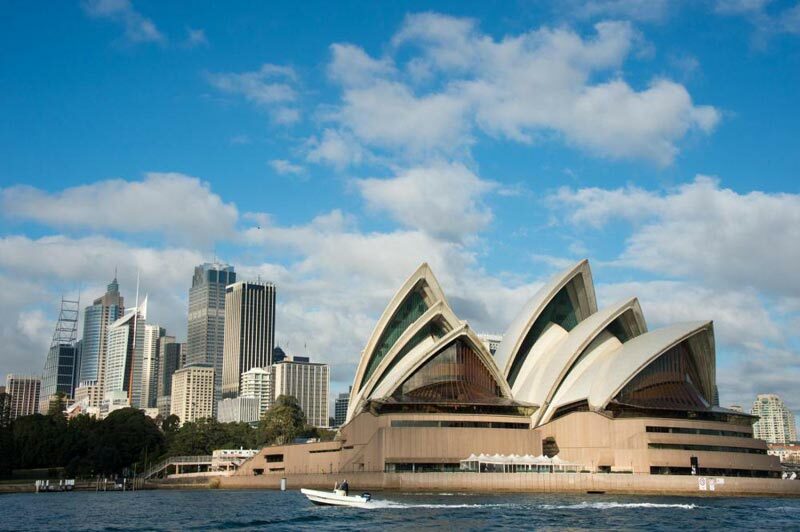 Around 1800hrs get transfers to Sydney Harbor Showboat Dinner Cruise (03hrs.) with pre-allocated individual reserved table restaurant style. We get deluxe three course dinner menu – freshly cooked and served, 01 hour spectacular Showboat show with an Australian Cast – Voyage of Love. Overnight stay in Sydney hotel. Enjoy breakfast at hotel. Get ready to explore Full Day City Tour (8 hrs. ).City Tour Includes Bondi Beach, Harbour Bridge, Darling Harbour, The Rocks, King Cross, Chinatown & Opera House (view) &Mrs. Macquarie's Chair. Enjoy the 03 Best Attractions of the City -Syd Sea Life Syd Aquarium / Wildlife Syd Zoo / Syd Tower Eye + 4DExperience / Madame Tussauds. Later we get transfers to Standard Indian restaurant to relish dinner followed by return hotel transfers. Overnight stay in Sydney hotel. After breakfast, check out and transfer to Sydney Airport to catch connection flight to Melbourne city. Arrive hotel, after check in & proceed for City Tour. . City Tour Includes Fitzroy Garden, St. Patricks Cathedral, Royal Exhibition Building, Federation Square, Arts Centre, Shrine of Remembrance, Town Hall & Parliament House. Later evening enjoy Standard Indian Dinner followed by overnight stay in Melbourne hotel. After breakfast at hotel, time is free on own till return transfer to Melbourne Airport to board your flight return back to India. ROE 01 AUD = INR 51.50 has been taken for the above costing incase in Variation we will charge accordingly on the day of making final payments. Above cost based on minimum 36 Adults. Cancellation after issue of visa and / or after payment is received shall attract a cancellation charge as per Airline and Hotels Cancellation policy and Visa fees will be nonrefundable ….